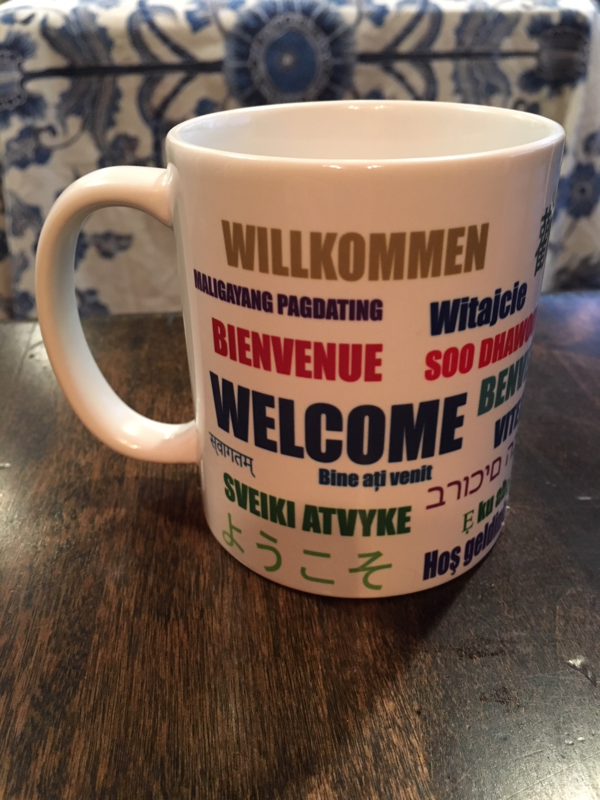 This unique mug says "Welcome" in many languages including Arabic, Burmese, Chinese, Czech, Dutch, Farsi (Persian), French, German, Greek, Gujarati, Haitian-Creole, Hebrew,, Hindi, Italian, Japanese, Korean, Lithuanian, Nepali, Polish, Portuguese, Romanian, Somali, Spanish, Swedish, Tagalog, Turkish, Ukrainian, Vietnamese and Yoruba. 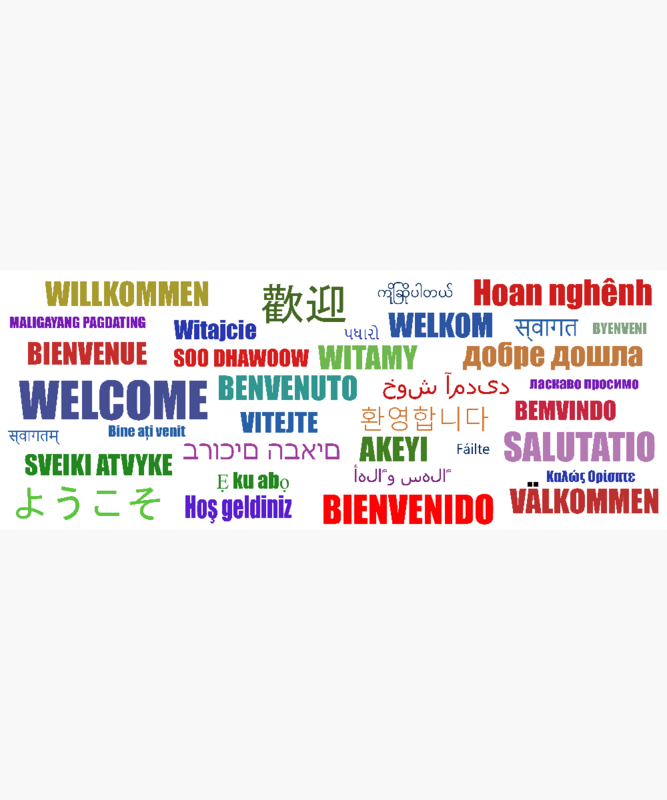 This is a great gift for teachers who work in multicultural classrooms and celebrate cultural diversity. It makes a great holiday gift for teachers, end of year gift, and teacher appreciatiion week gift. 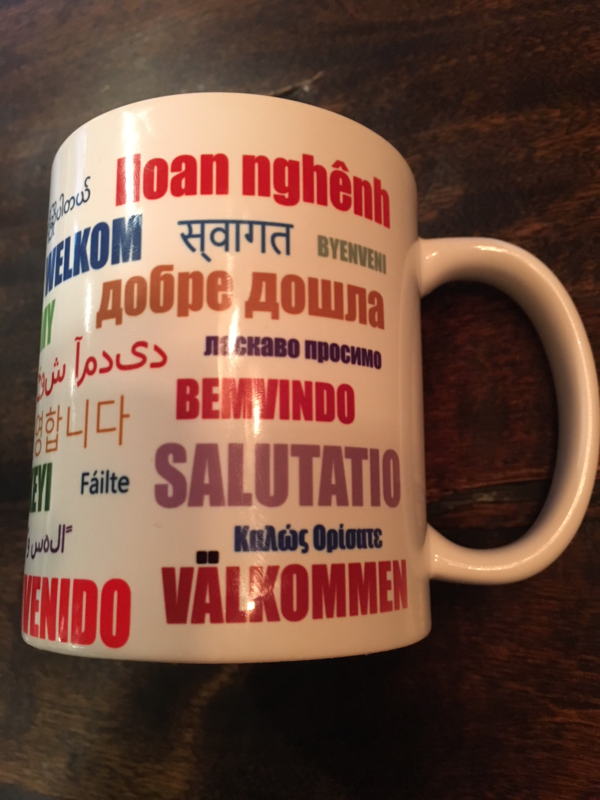 This gift in different languages is also perfect for anyone who promotes diversity and inclusion. Designed by Language Lizard, a leading provider of bilingual books and multicultural resources in over 50 languages.